DS 19, 20, 21 and 23 gradually introduced. Engines all short-stroke: 1985cc, 2,175cc and finally 2,347cc for the DS23 Pallas with fuel injection and 140HP. 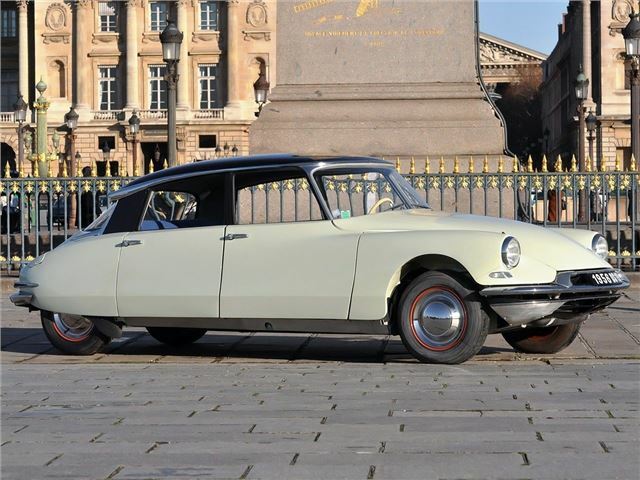 The Citroën DS remains one of the most extraordinary cars ever created, and is still capable of turning heads more than half a century after it first appeared. Its ‘Goddess’ name – ‘Deesse’ in French – was entirely justified because it did seem to be from another world, and looked like no other car on the road. The beautiful shape was like nothing else, while hydropneumatics controlled the self-levelling suspension, brakes, clutch and power steering, with the ride height adjustable from inside the car. But these features weren't just there for show - each high pressure system brought a genuine benefit to the driver. Only the old 1911cc engine was carried over from the Traction Avant, which while capble, was far from cutting edge. The budget-conscious ID19 appeared a year after the DS19 and featured conventional brakes and steering. 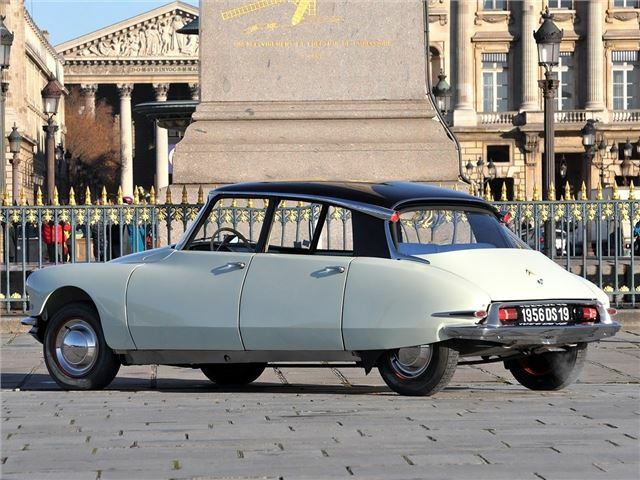 The peach of the range was the DS23 Pallas, from 1973-1975, with a 141PS 2.3 litre fuel injected engine.